Residential – Allen Transfer & Storage Co., Inc.
Allen Transfer & Storage Co., Inc. 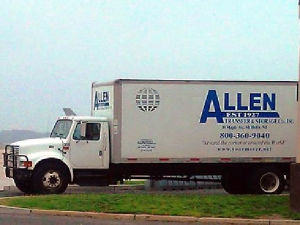 The Allen Transfer and Storage’s moving team boasts of the best men in the industry. From the very moment you pick up the phone to inquire about your move till the last item that is unpacked, every aspect is handled by professional movers who know their job. We'll be happy to provide you with an estimate. Just provide us with a few pieces of information.